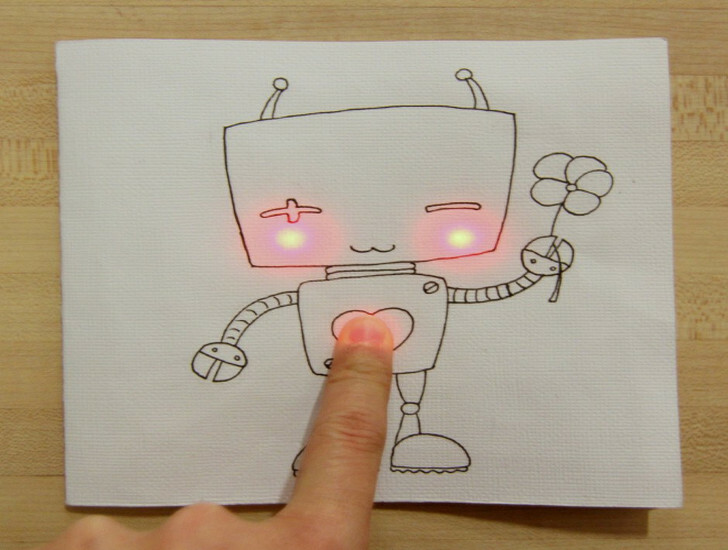 Circuit Stickers Transform Kids’ Art Into an Interactive Light Show! Light up ordinary drawings and arts and crafts projects with Circuit Stickers by Chibitronics. These electronic stickers, made from lead-free materials, let kids build circuits that stick to most surfaces for glowing, sensing and interactive projects that require no extensive equipment or programming skills. Simply peel, stick and play! The Circuit Sticker Sketchbook walks you through the basics of building simple LED circuits by letting you complete projects right on the pages of the book. Designed in part by educators, the easy to follow guidebook shows you the fundamentals of building paper switches and pressure sensors for building fun and easy interactive artworks. 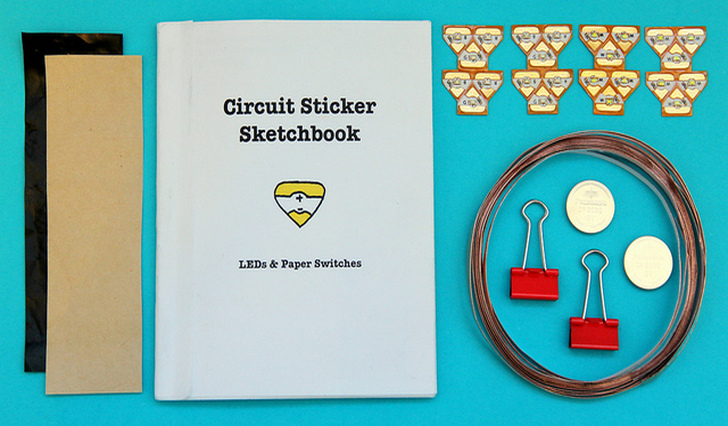 Starter kits are priced at $25 for an all-inclusive box of circuit stickers, copper tape, conductive plastic, a sketchbook guide and more to keep kids busy and intrigued. The deluxe kit ($89) features special add-ons like sensors, color LEDs, and extra Circuit Sticker Sketchbooks for guided inspiration. Pre-order your very own set of Circuit Stickers via Chibitronics’ crowd supply campaign. Circuit Stickers Transform Kids� Art Into an Interactive Light Show!